Among people concerned about their cognitive health whose family members have Alzheimer’s disease or other dementias, one question is of overriding concern: Is dementia hereditary? Is dementia hereditary? Your genetic background may be responsible for your propensity to inherit Alzheimer’s disease (AD) and other dementias. In fact, statistics suggest that genetic background is certainly a factor—but not the only factor—in the risk for irreversible dementia. Your genetic background is responsible, at least in part, for your propensity to inherit certain medical conditions, including Alzheimer’s disease (AD) and other dementias. The more family members you have who are affected by certain types of dementia, including Alzheimer’s, the greater your risk becomes. So, strictly speaking, is dementia hereditary? Dementia statistics suggest that genetic background is certainly a factor—but not the only factor—in the risk for irreversible dementia. For example, although risk for frontal lobe dementia (also called frontotemporal dementia) is significantly increased among individuals who have relatives who have developed the disease, more than half of people diagnosed with this form of dementia do not have such a family history. The Role of Genetics: Is Dementia Hereditary? When considering whether dementia is hereditary, the role of genetics is similar in the case of Alzheimer’s disease, which accounts for up to 80 percent of all dementia cases. Researchers have discovered a number of single-gene mutations that are directly associated with early-onset Alzheimer’s disease, which develops before age 60 and affects fewer than 5 percent of people with AD. Mutations in the amyloid beta A4 protein precursor (APP), presenilin 1 (PSEN1), and presenilin 2 (PSEN2) genes cause the production of abnormal proteins that trigger the brain damage associated the signs of early onset dementia. 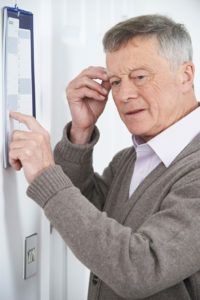 The picture is less clear with regard to the late-onset form of Alzheimer’s disease. Scientists have been unable to find specific gene mutations to blame for late-onset AD. They have, however, found a gene variant that appears to increase a person’s risk for both AD, and vascular dementia (VaD), the second-most common form of dementia, which is caused by vascular problems affecting memory regions and supporting structures in the brain. The gene variant, called apolipoprotein E (ApoE), provides instructions for the production of a protein that helps transport cholesterol through the bloodstream and remove it from the body. About 25 percent of the population has at least one copy of ApoE4, a variation of the ApoE gene that has been associated with a higher risk for Alzheimer’s. Although ApoE4 does not cause Alzheimer’s or VaD, it may lead to brain changes that affect cognitive decline. It is not yet clear precisely how ApoE4 affects the brain, but it looks like people who have the ApoE4 gene experience a more rapid loss of nerve cell functioning in the frontal lobe, which is important in maintaining higher mental functioning. It might be said that the brains of people with the ApoE4 gene age at a faster rate and that this acceleration may increase the chances of progressing to dementia. ApoE may help break down sticky clusters of beta-amyloid protein that can clog the spaces between brain cells. In people with the genetic variation ApoE4, the ability to degrade beta-amyloid is impaired. This is why studies have associated the ApoE4 variation with an increased number of beta-amyloid plaques in the brain. There is abundant evidence that people who inherit two copies of ApoE4 have a greater risk of developing Alzheimer’s than those who have just one copy. But, because not all people with Alzheimer’s have this ApoE4 genetic variation, and not all people who have the variation will develop the disease, testing for it is not currently considered a useful predictive tool. and degradation of several proteins associated with Alzheimer’s disease and other dementias. Is Dementia Hereditary—And Should You Be Tested? 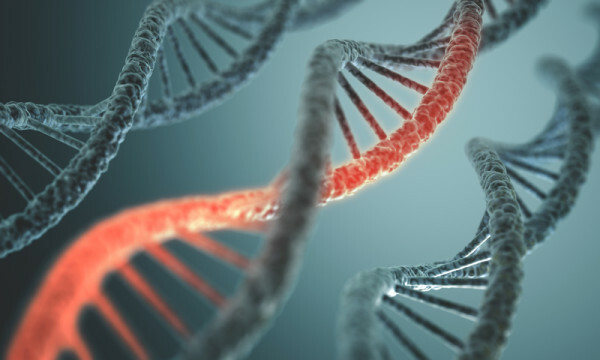 It is possible to request genetic testing to determine whether you have inherited some of the genes associated with AD or other dementias, but there are both advantages and disadvantages associated with undergoing this process. Since testing for many of the genes associated with the most common forms of dementia cannot indicate definitively whether an individual will or will not develop a neurodegenerative disease, fears may be raised or eased in error. What’s more, given the fact that there is currently no dementia cure available to halt or reverse the progression of most types of dementia, genetic testing may be unnecessarily distressing and ultimately pointless for many individuals. In the majority of cases, deciding to forgo testing and instead adopt lifestyle strategies that maximize physical and mental health may provide the best response to worries about inheriting dementia. Cardiovascular risk factors: Your brain is nourished by one of your body’s richest networks of blood vessels. Anything that damages blood vessels anywhere in your body can damage blood vessels in your brain, depriving brain cells of vital food and oxygen. Blood vessel changes in the brain are linked to vascular dementia. They often are present along with changes caused by other types of dementia, including Alzheimer’s disease and dementia with Lewy bodies. These changes may interact to cause faster decline or make impairments more severe. You can help protect your brain with some of the same strategies that protect your heart—don’t smoke; take steps to keep your blood pressure, cholesterol and blood sugar within recommended limits; and maintain a healthy weight. aging, alzheimer, alzheimer s association, amyloid plaques, amyloid protein, apoe4, beta amyloid, blood pressure, blood sugar, brain, brain damage, brain health, cardiovascular, cardiovascular risk, cardiovascular risk factors, cholesterol, cognitive decline, dementia, dementia cure, dementia hereditary, dementia statistics, diet, early onset alzheimer s, early onset dementia, exercise, food, forms of dementia, frontal lobe dementia, frontotemporal dementia, genetic testing, health, healthy eating, healthy eating patterns, healthy fats, healthy weight, heart health, heart healthy, heart healthy eating, irreversible dementia, is dementia hereditary, medical conditions, mediterranean diet, memory, mental health, neurodegenerative disease, nuts, physical exercise, protein, senile, senile dementia, signs of early onset dementia, stroke, sugar, symptoms of dementia, the mediterranean diet, thyroid, types of dementia, vascular dementia, vegetables, vitamin, what is dementia, whole grains. 63 years old. loosing my memory rapidly . don’t remember friends name, get confused who is who. I am interested get information from UHN daily, because its open my eyes to see how fast my mind is going down . Thanks for the cues posted which help tremendously. UHN Daily is a very helpful. I look forward to hear from you.